Oftentimes, daily challenges can get us down—especially in the competitive IT industry. Sometimes, you need more than just a helpful word from a colleague. Sometimes you need words of encouragement from the IT leaders who have made it. Here are 10 of them! 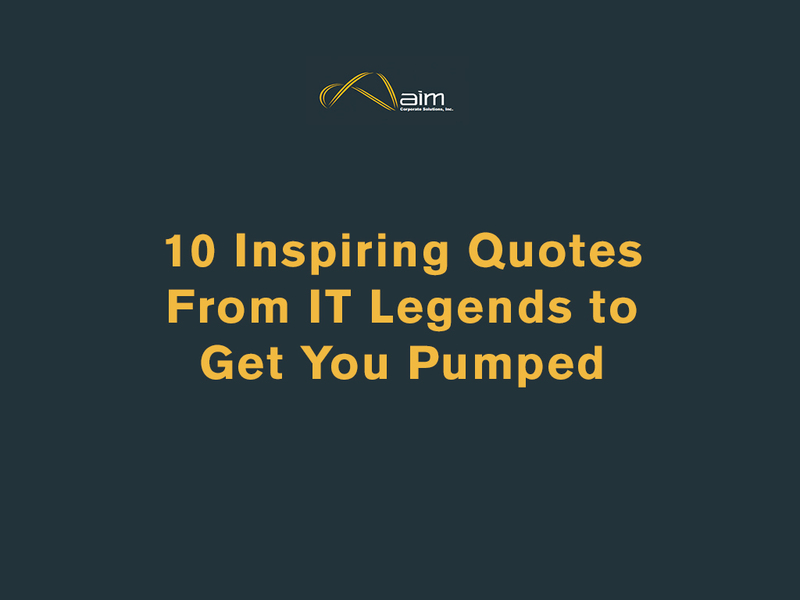 10 Inspiring Quotes From IT Legends to Get You Pumped from AIM Corporate Solutions, Inc. The former editor-in-chief of Wired magazine who later shifted careers to found his own company, 3D Robotics, a company that manufactures drones. The Godfather Of Facebook who started out punching out the code for his future social networking giant in his dorm room. Google’s co-founder who continues to drive the company forward with, in his own words, “the soul and passion of a startup. Visionary extraordinaire who co-founded Paypal, founded NASA-funded SpaceX, and electric car company, Tesla. The genius behind the often-maligned but undeniably attractive mobility service, Uber. Since founding DropBox in 2007, Houston’s file-sharing service now hosts over 300 million cloud-hungry users. Inspired yet? Begin your IT career at AIM and become an IT leader in the future!